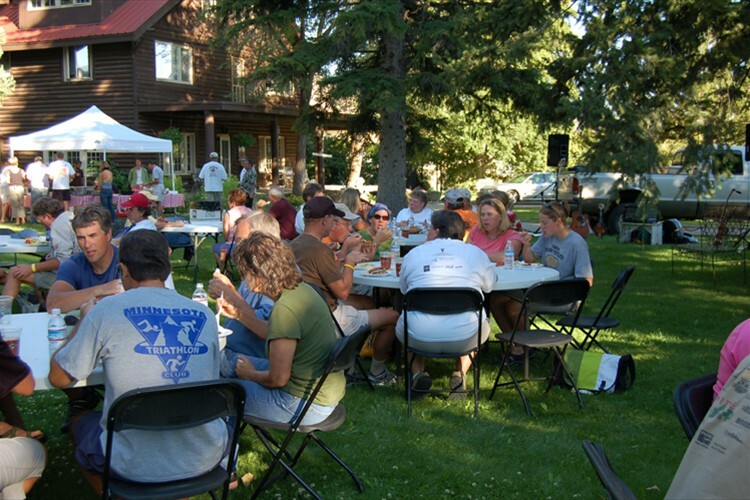 Our host communities included: Melba, Glenns Ferry, Buhl, Shoshone, Hailey and Stanley. 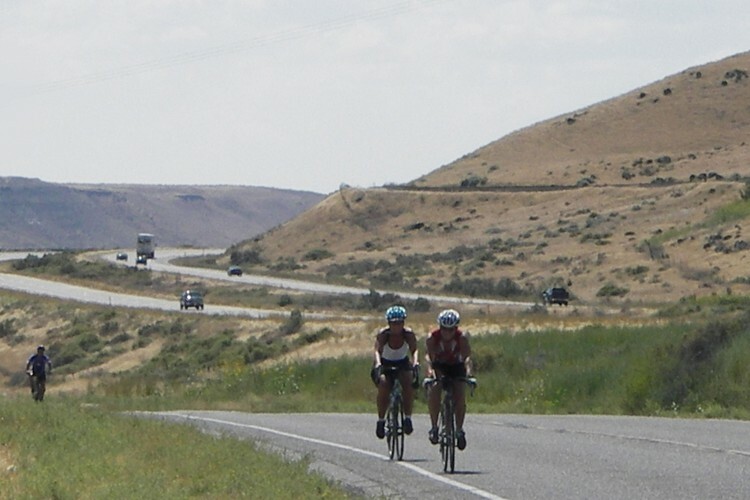 The first day, a century ride through Idaho desert, turned out to be the hottest day of the week. 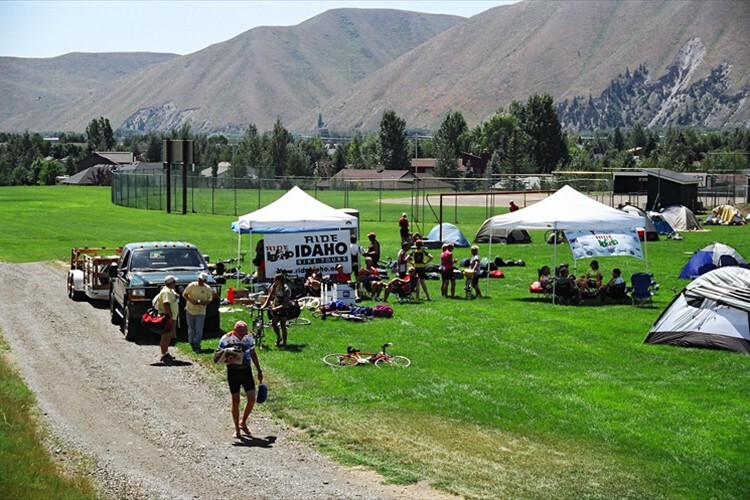 The brief rest stop interlude at the famous sand dunes in Mountain Home provided little relief to the upper 90 degree weather (of course, pavement heat was well over 100 degrees)! 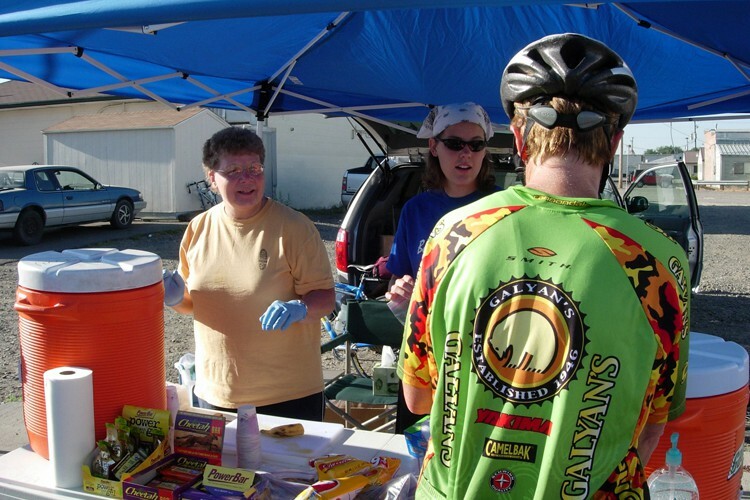 Thankfully, cyclists-turned campers pitched tents at Glenns Ferry's beautiful and shaded, Three Island Crossing State Park. The local Carmela Winery provided an outstanding Italian dinner complete with a chauffeured limousine ride to dinner. 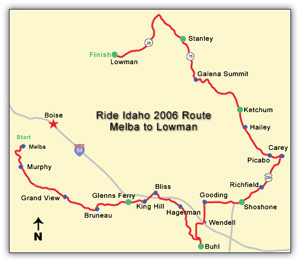 The next two days continued through desert with overnight stays in Buhl and Shoshone, where incredible town pride was clearly on display. The climb into Buhl was an unforgiving steady climb, teasingly giving the appearance of finally reaching the top, only to find yet another hill. A much needed lay-over day was offered in the ski resort town of Hailey/Sun Valley. 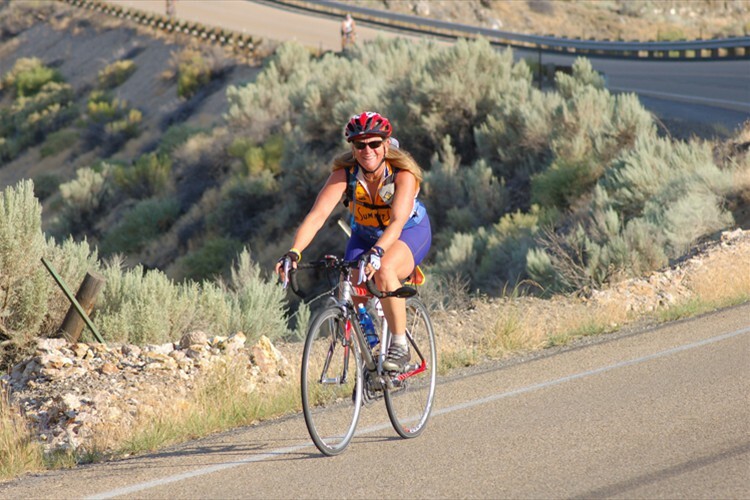 Climbing out of the desert and into the mountainous offerings of the Sawtooth Mountain range was appreciated by all. 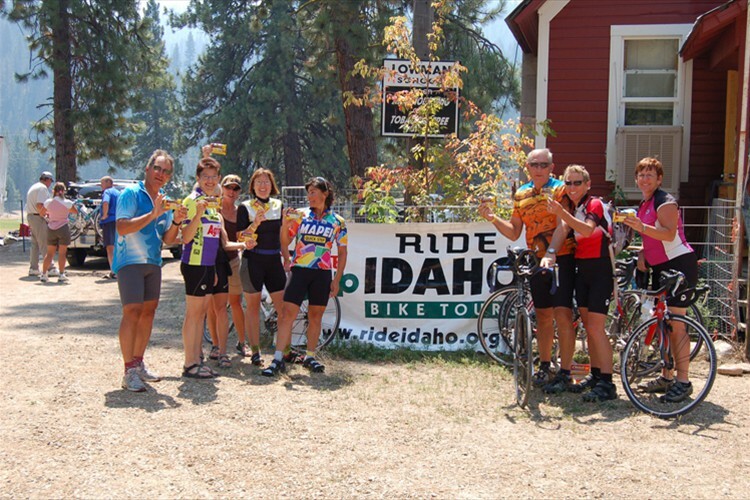 Cyclists were more than willing on their day off to enjoy a white water rafting trip or simply stroll through the tourist town of Sun Valley. 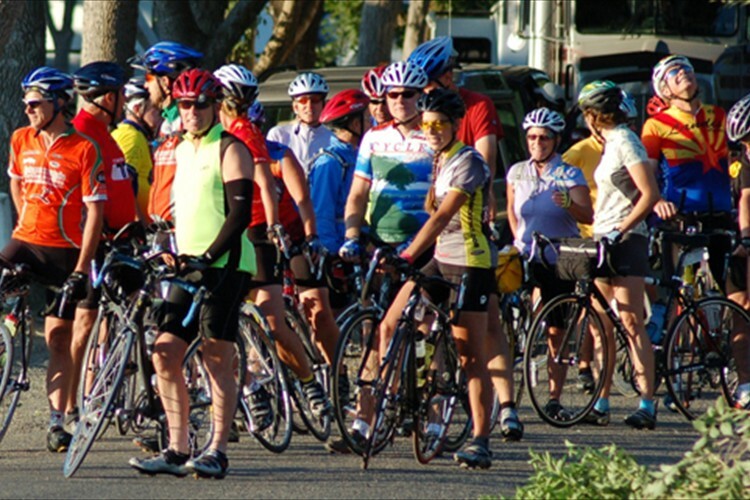 After a day of rest, cyclists rode 75 miles to Stanley. This included over 20 miles of steady climbing to the base of Galena Summit and then 6 miles of considerable elevation gain. The camaraderie was considerably more evident on this day as told by the group pictures taking place at the top.